?Chelsea superstar Eden Hazard has denied suggestions that he has already agreed a huge five-year deal to join Real Madrid. 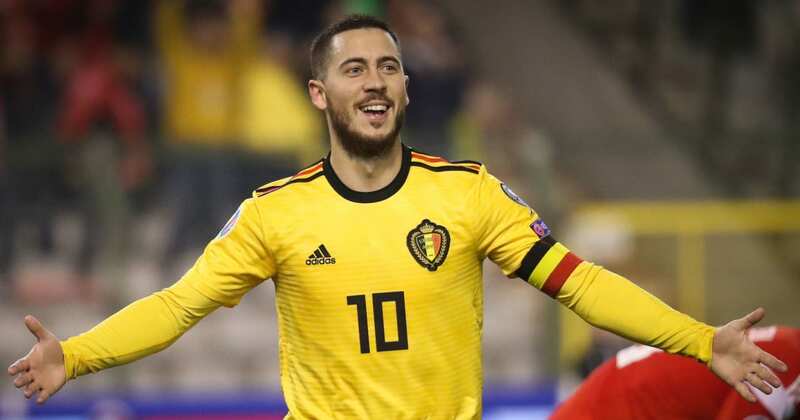 With the Belgian’s deal at Stamford Bridge set to expire at the end of next season, Hazard has been the subject of constant transfer speculation – generally regarding a potential move to the Spanish capital. The latest instalment in the ongoing saga came from reports this week that the forward had already agreed terms over a switch to the Bernabeu, after speaking directly with Los Blancos head coach Zinedine Zidane. However, as quoted by ?Sky Sports, ?Hazard said: “There’s nothing in the reports. Despite Hazard’s denial, it’s thought that ?Chelsea turned down a £60m offer for their star man earlier this month, raising further speculation that the 28-year-old is edging inevitably closer to an exit from Stamford Bridge. The forward has turned down multiple offers of a new contract from the Blues, though their recently imposed transfer ban could significantly affect any potential transfer business for the club – in terms of both incomings and potential sales. The sanction means that even if Chelsea were able to scoop a figure upwards of the £60m mark for Hazard, they would be unable to sign a replacement for their prized asset in either of the next two transfer windows – though Christian Pulisic will arrive from ?Borussia Dortmund in the summer. Meanwhile, it has been suggested that ?Real Madrid will turn their attentions to West Ham winger Felipe Anderson if they are unsuccessful in further efforts to land Hazard.